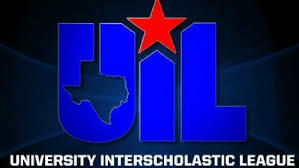 AUSTIN, Texas — The State Executive Committee of the University Interscholastic League will convene at 9:30 am on Wednesday, Feb. 6, at the UIL Building, 1701 Manor Rd., Austin, to determine the eligibility of student-athletes. 9:30 a.m. AA. Irving MacArthur High School: Appeal of District 6-5A Executive Committee Decision Regarding Eligibility of a Student Athlete, Section 443, Changing Schools for Athletic Purposes. The State Executive Committee meeting is an open meeting, and all interested parties are welcome.